I’ve been meaning to write a kind of ‘year in review’ for 2016 for a while now, but seeing as I was in La Gomera over new year then had to try and catch up with a million things once I returned home, the post was somewhat delayed. 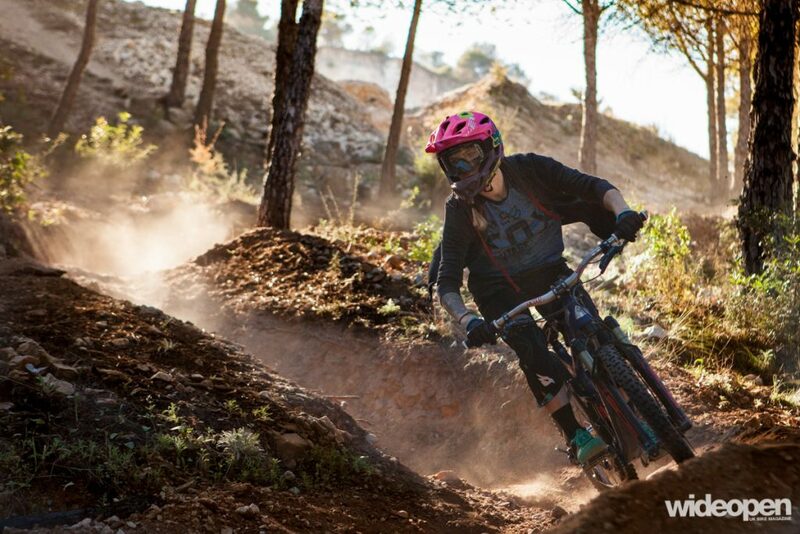 My husband Dave and I kicked off the year by heading to Malaga to check out Roost MTB’s new Enduro week where we were treated to a variety of steep, dusty trails bathed in sun. Roost’s expert guides showed us all the well known spots and some secret tracks, a mixture of pedal power and uplifts ensured we got the most miles for our buck. Next I headed to Sierra de Guadarrama for the Marin Team camp where I entered an unexpectedly snowy enduro race and penned a couple of articles for mountain bike magazines. The terrain was very natural and rocky (when it wasn’t covered in snow) and despite being so close to Madrid, the place was deserted most of the time. The place is a real hidden gem and it was a treat to be shown around by Iago Garay and Black Town Trails. After all that mountain biking it was time to get some roadie miles in and work on my fitness ahead of the race season. Dave and I headed to Girona for our own take on a training camp, seeing how going it alone compared to a fully inclusive package tour. Girona is just fantastic for cycling with some incredible routes in the surrounding countryside, good hotels and cycle friendly cafes including my favourite, La Fabrica. After missing the Red Hook Crit in Brooklyn, one of my target races for the year due to broken bones, my first fixed gear crit of the year took place in Paris. La Petite Course took place in a former hospital making use of the narrow roads that ran between the buildings for a technically challenging race. The organisers did a great job of making us all feel welcome and ensuring we had a good time and I finished just off the podium in 4th place. I guess the time off the bike injured left me motivated to do well in the races I was able to enter, because I bagged second place at the Fixed 42 ‘Fixed Gear World Champs’ the following month in Berlin. The race was definitely one of the highlights of my year, and not just because I did well, but because it was unlike any fixed gear race I’d ever entered before. Setting off from a town outside the city, we raced on the closed motorway and then through the closed streets of Berlin past all the sights I’ve come to recognise over the years. It was truly fantastic. A super fast trip of just 36 hours, but one of the best of the year had to be Bikepacking the Ridgeway trail from Ditchling Beacon to Avebury. I’m a big fan of bike touring and camping out, but honestly I don’t really get to do it enough as I’m always so busy either racing or training. Somehow, after endless attempts to coordinate our diaries, my friends and I managed to get two full days of riding and one night of camping in the bag. I immediately vowed to do it again and more frequently but with my 2017 schedule looking even more nuts than last year, I’m not sure how possible that’s going to be! In August I went to Barcelona for one of my favourite trips of the year – to race Red Hook Crit and hang out with all my fixed gear buddies from around the world. RHC Barcelona is THE race to enter if you’re into fixed crits because there’s a goddam beach! The day of the race, we all want to race hard and place highly, but up until that point we’re all buddies focused on playing beach volleyball, swimming and going for beers. I managed to break the top ten for the first time in a Red Hook Crit, walking away with an 8th place that I’m proud of. After racing in Barcelona, I was forced to take yet more time off after my endlessly annoying and impossible to fix back problem flared up and gave me more gyp than I could ignore. I felt fantastically frustrated at missing Red Hook Crit Milan and feeling my fitness slip away. But just as I was getting super bummed out, a surprise trip to Gran Canaria cheered me right up! Polartec’s Follow Contador training camping was T O U G H, not least after time off the bike but the degree of difficulty I faced in trying to keep up with professionals and top level amateur racers didn’t make it any less awesome, because let’s face, cycling can be (and should be!) hard sometimes. The organisers from both Polartec and Free Motion Bike Centre were absolutely super, the hotel was stunning, the rides were fun… what more can you ask for? And finally, riding the inaugural Etape Australia was amazing, not least as I had another few days away from the cold and gloom of the UK winter. After several days cycling in Sydney (and trying to overcome by severe jetlag!) I flew to Jindabyne where I attended a workshop with Chris Froome, drank plenty of local ale, rode the 127km Etape Australia and went mountain biking in Threado. So that was 2016 and it was packed with racing, injury, sickness, training, travel, fun, despair and more! Here’s hoping 2017 keeps the highs and drops the lows.